High levels of toxic chemicals, including cancer-causing benzene, have been detected at a new site for Tokyo’s fish market, the biggest wholesale fish and seafood market in the world and a popular tourist attraction, Japanese media said, citing officials. Tokyo’s authorities have been planning to relocate the famous Tsukiji fish market in the center of the capital to the Toyosu area, 3 kilometers to the south. The move was originally set to take place in November of 2016, but was postponed. The latest groundwater samples from Toyosu contained an amount of benzene 79 times higher than the minimum allowed by the government, officials in the Tokyo city government said on Saturday, as cited by Kyodo news. The results were reported to the city government’s panel of experts. Benzene is a toxic organic chemical that causes “acute and long term adverse health effects and diseases, including cancer and aplastic anaemia,” according to data from the World Health Organization (WHO). The Yomiuri Shimbun newspaper reported that the samples also contained amounts of cyanide and arsenic 12 times and 3.8 times the minimum, respectively. “I am surprised to know that detected levels came in far higher than expected,” Tokyo governor Yuriko Koike told reporters. This is not the first time toxic substances have been detected at the Toyosu site. The previous test from October of 2016 showed high levels of mercury there. Tsukiji Market is a major Tokyo tourist attraction famous for its tuna auctions, which attract huge crowds of visitors. Not only fish is hawked at the market – fruit and vegetables are sold there as well. Tokyo’s authorities decided to relocate the market, citing a need to upgrade technology. They are planning to build a facility some 40 percent larger than the current one with modern refrigeration. Cleaning up the market has already cost the government 86 billion yen ($750 million). “What we have to uphold is food security,” Koike said on Saturday, adding, “we may have to study further,” local media report. 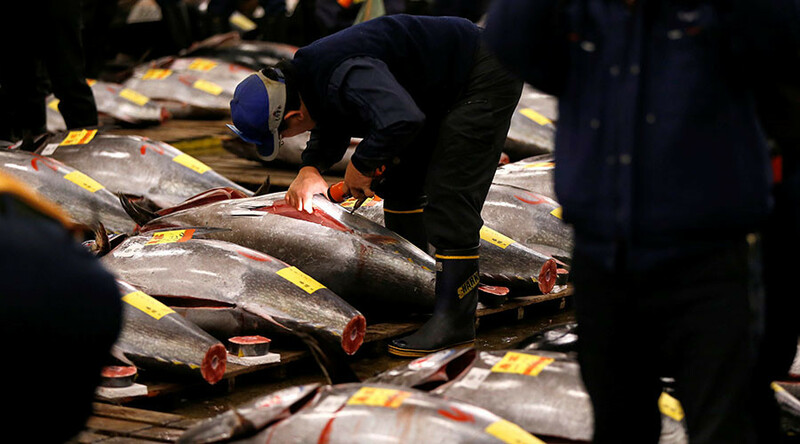 Wholesalers at the Tsukiji market, who have been frustrated by the delay in the relocation, claim the move is costing them millions of dollars a month, AFP reported.